You’ve read the articles and heard the tales about how people are making extra income renting all or part of their homes, and you’re thinking, What an ingenius idea! You have a spare room or perhaps a converted garage just sitting there collecting dust. Why not make some extra cheddar to pay off your credit cards or guiltlessly treat yourself to that designer bag? But then again, what if your renter accidentally burns down your kitchen or breaks your favorite vase or wears really nasty perfume that adheres to your curtains? It’s a setup for disaster, or at least that’s how I felt last year—but now I’m a total “Airbnbeliever”! When my husband and I ended our relationship last spring, we were going to have to sell our house and split the profits. With my share, the most I could afford was a dingy one-bedroom condo far from the area I love. I couldn’t imagine leaving my home of 20 years. That loss would bring a bigger heartache than the loss of my husband. So I took a chance and struck a deal with him that I would forgo my indefinite alimony and fork over almost all my savings if I could keep the house I love. I spent the next month sprucing up our garage conversion, giving it a fresh coat of paint, updating the bathroom fixtures, scouring every garage sale and Craigslist posting for cute furnishings, and turned it into an Airbnb-worthy space. I then spent some time learning about the Airbnb website, process, and services. Airbnb had insurance to cover any damage and great customer support, and would handle all the bookings, finances, and paperwork. I could rent my place on the days I wanted and for the price I wanted. I could post house rules up front so guests were clear what was expected of them in terms of age restrictions, smoking habits, and party rules. And I could set up my own cleaning fee. Easy peasy! So I created an Airbnb page, took pictures of the space, and listed my rental. Then I waited for potential guests to look over the price, amenities, and availability. Once they were interested, they’d send me an e-mail request through Airbnb where I could read their bio and check them out. I could also read feedback from previous Airbnb hosts to see if they were quiet, clean, and responsible. If it was a twentysomething asking if it was OK to spend the night for a Tinder hookup or if it was cool to host a bachelor party, I’d deny the request. But for the most part, all my guests have been older people, either visiting their grandchildren or traveling. I’ve met people from Brazil, Tokyo, England, and Canada. One guest was a wine cultivator from the Napa Valley who brought bottles of rosé, and we sat out on the porch sipping wine. Here I am, a year later, and I’ve yet to have a bad experience renting my property. I’ve also recouped all the money I put in to fix up the garage and then some. I love the idea that I have total control of my rental property and feel confident that, because of Airbnb, I can afford my mortgage. Plus, if things get really bad financially, I can always move into the conversion and rent out my house from time to time. I now have options where I used to have only worries. 1. 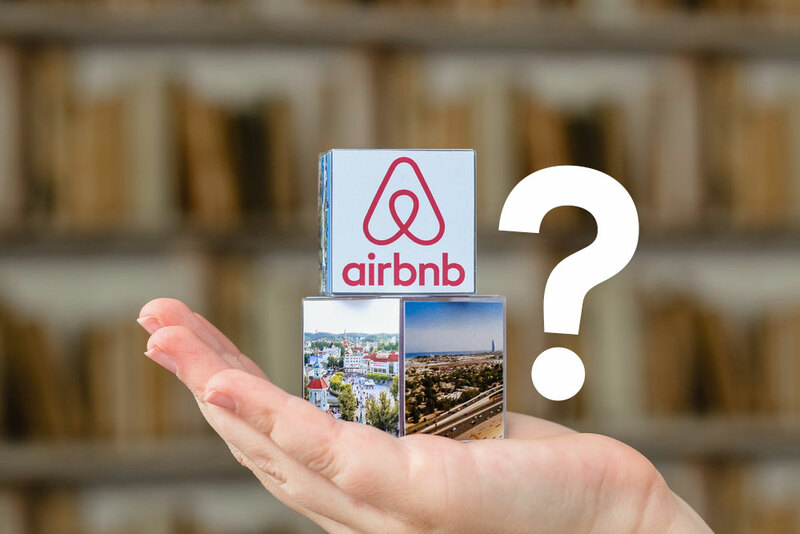 Look at Airbnb and check out your competition. It’s easy to find rentals in your neighborhood so you can see how much they’re going for and how often they’re booked. This will give you an idea of how much income you can expect and how often you might be renting your property out. 2. When listing your property, be sure to include any house rules. Almost all rentals request no parties or late-night noise that could disturb neighbors. You may also forbid pets or young children, especially if you have a pool. Be clear if you would be sharing your laundry facilities or kitchen and where your guests need to park. The more instructions you post, the less issues you will have. 3. Collecting the money is easy. You provide Airbnb with your bank account number, and 24 hours after your guests check in, they transfer their payment into your account. 4. Hosts have a few responsibilities. You or someone else should greet your guests. You can even do it virtually with a video tour. You also have to coordinate a cleaning crew (or you can certainly clean your rental yourself to save on the expenditure) and handle any problems your guests may have, such as fixing a broken alarm clock or helping them figure out how to use your microwave. 5. Check local building codes. If you’re thinking of putting money into converting your garage for a rental, check out your local building codes first. Get permits when needed so your changes will add value to your home. 6. Be prepared for a lot of good write-offs. Yes, if you rent out part of your property, you may be able to write off a percentage of your utility bills, construction costs, pool cleaners, gardeners, housekeeping, exterminators, furniture, and décor. Basically anything needed to keep your place comfortable and clean for your guests is fair game. 7. Remember Airbnb works both ways. Maybe you want to rent out your whole house and get yourself an Airbnb in Italy? Go for it! It truly is an ingenius way to swap spaces for a while. There’s no doubt about it: renting out part of your home can have a lot of financial benefits. But for a single mom who is trying to make ends meet, it can be a godsend. In a world where we can point and click our way to a ride to the airport and next-day delivery, why not point and click your way to a healthier bank account?